Yakatabune can roughly be translated into “house shaped boat” or “mansion boat”. Yakata should not be confused with yukata which is often worn when going onto a yakatabune. Yakatabune is a traditional boat cruise that is most popular in Tokyo. 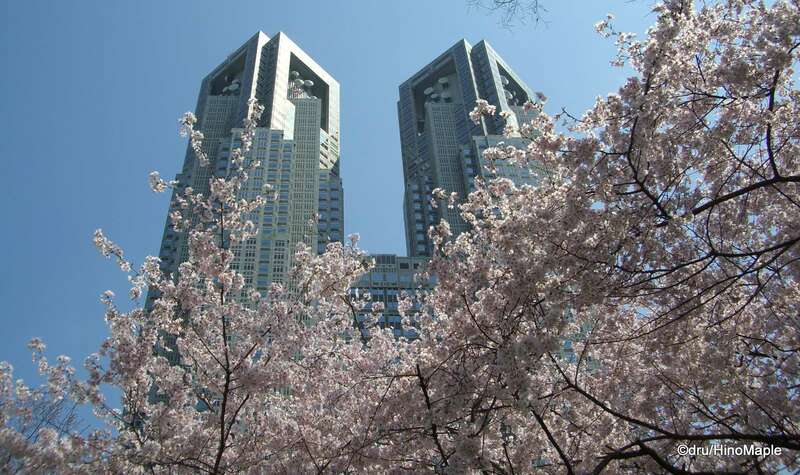 Ships are moored along the coasts and rivers of Tokyo from the Sumida River all the way to Rainbow Bridge. Each ship is traditionally owned by their captains and they ply the waters of the rivers around Tokyo as well as Tokyo Bay. While they are traditionally owned by their captains, this is not necessarily true today as it can be much easier to have a fleet of ships to reduce costs in maintenance. The traditional ship is at most 20 metres long with just one “deck”. The older style yakatabune has a tatami floor with lots of tables. There usually isn’t an area on the roof for standing but a lot of the newer yakatabune do. A modern ship will not look like a traditional yakatabune as the interior has traditional western style seats as well as an upper deck for people to sit and enjoy the views. The ships themselves have several levels of service from full service with all you can eat and drink deals to self-serve deals where you have to bring everything from food to drinks. Several companies do offer charter services where you can charter the entire boat but for the casual tourist you can easily hop onto one of the standard cruises that depart at specific times. Recently when I went on a yakatabune for the first time, I was more interested in where we would go. We started at Hamarikyu Gardens where there is a small hidden boat pier. 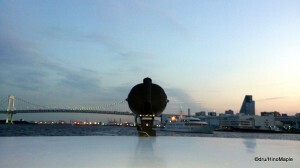 The boat took off for Tokyo Bay where we raced under Rainbow Bridge and out to Haneda Airport. We took a break at the edge of the runway where we enjoyed watching several planes land in the night sky. It was quite exciting and a regular excursion for yakatabune. After spending some time there we headed back to port via the new Tokyo Gate Bridge. 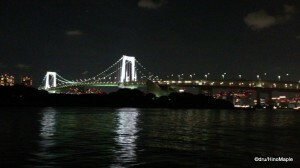 The Tokyo Gate Bridge is a very beautifully lit bridge that truly acts as a gateway into Tokyo. The bridge is a beacon to those who are out in the bay with no maps or GPS and in need of something to point them to Tokyo. It is very brightly lit making it easy to spot from miles away. Once we passed under Tokyo Gate Bridge, we headed back to port via Odaiba, passing several yakatabune at the same time. While I was on a modern style yakatabune, it was still a great trip. There was a lot of drinking and a lot of great music. It is an experience I’d love to do again but I don’t know exactly when I will. This entry was posted in Boats, Tokyo and tagged boat, Hamarikyu Gardens, Haneda Airport, japan, Odaiba, Rainbow Bridge, river boat, Sumida River, tatami, tokyo, Tokyo Bay, Tokyo Gate Bridge, Yakata, Yakatabune, yukata by Dru. Bookmark the permalink. I should try one day! Feel good to feel like a tourist again?